Could Trump, of All People, Bring Down Maduro and the Chavista Regime? 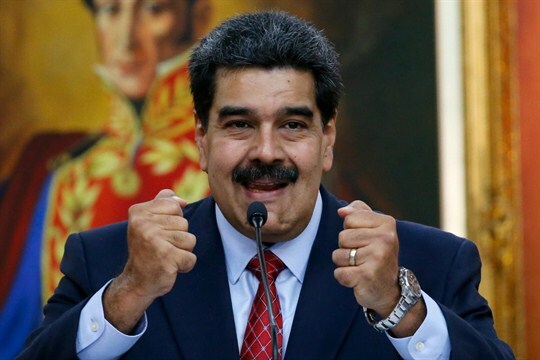 Venezuelan President Nicolas Maduro during a press conference at Miraflores presidential palace in Caracas, Venezuela, Jan. 25, 2019 (AP photo by Ariana Cubillos). If Donald Trump ends up being the catalyst that leads to the fall of the Chavista regime in Venezuela, it would be further proof that history has a sense of humor, if a dark one.